After yesterday's bustling Club Monaco sample sale, my inner retail therapist said I should slow it down and take it easy. 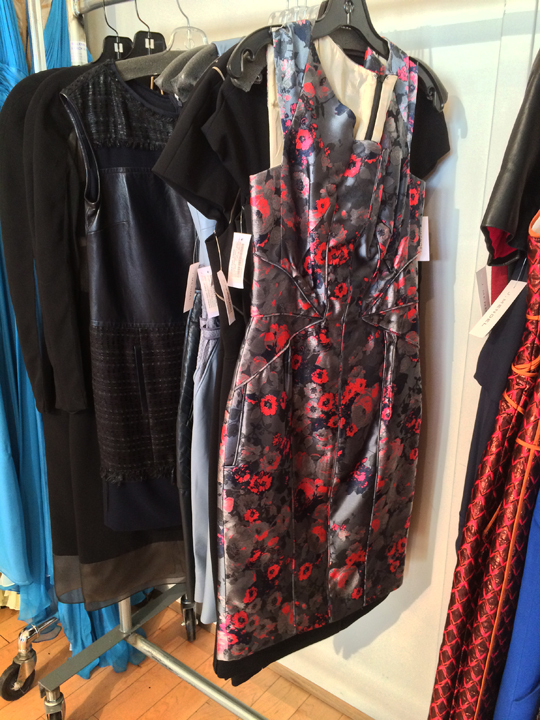 Thankfully enough, the J. Mendel private sample sale was next on my shopping itinerary so I stopped by their calm and collected press preview earlier today. 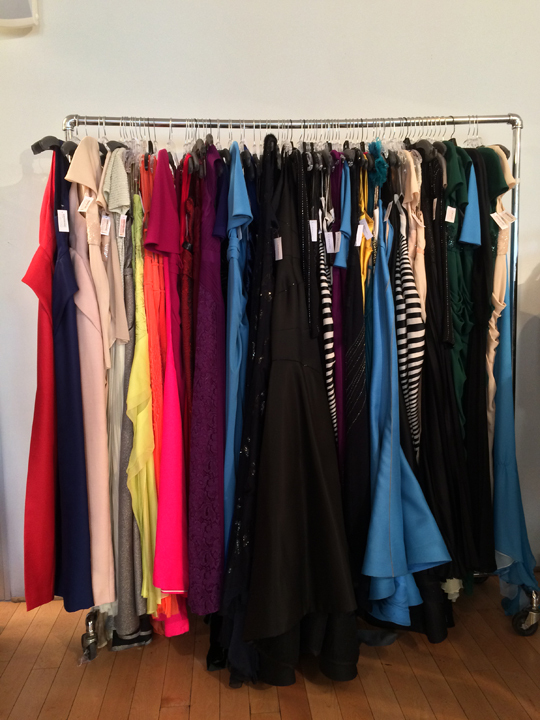 For those in need of glamorous evening outfits (note: it's never too early to start looking for upcoming holiday dresses), here's a brief breakdown of what to expect when the sale opens to my fellow Mizhattanites tomorrow. Guru of glamour, Gilles Mendel's couture quality evening designs opulently filled the sale space when I dropped by this morning. 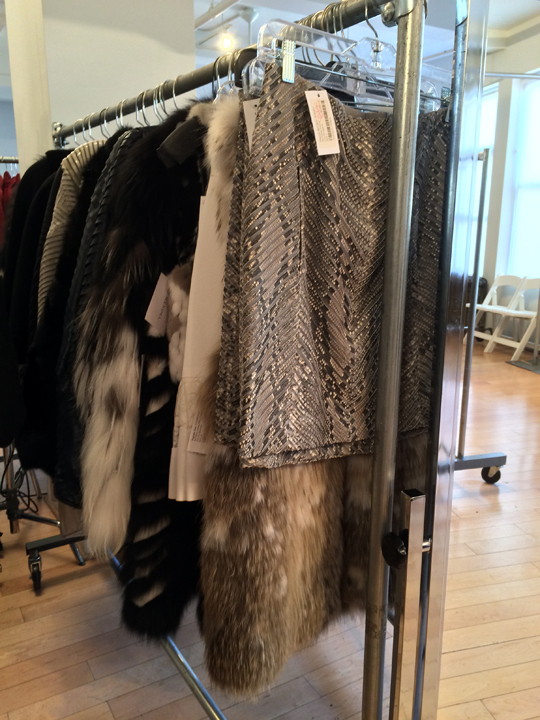 Unlike their last sale in March, J. Mendel's renowned fur collection was not as plentiful this time around. There was only a limited selection of vests, jackets, muffs, shrugs, scarves, and earmuffs to choose from. 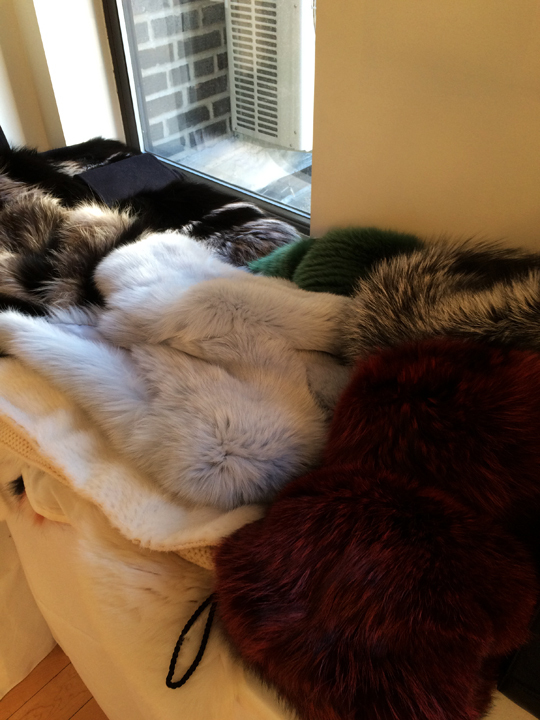 Still, if you're interested in prices, fur scarves (available in raccoon, white chinchilla, fox, mink, and coyote) were $800~$2,000. In addition, fox muffs and raccoon earmuffs were marked down to $500 and $100 respectively. 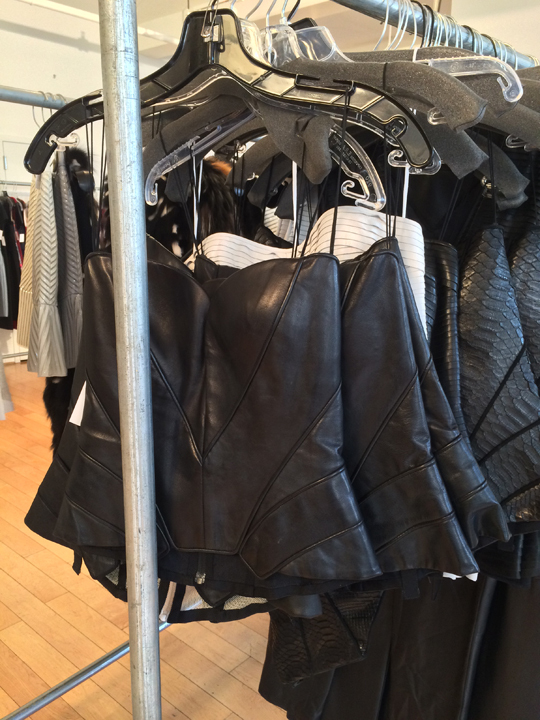 The Ready-to-Wear section was mostly comprised of dresses, skirts, and jackets. Items worth mentioning include a python knee-length skirt for $980 (originally $3,950 & 4th photo below), a silver fox cropped fur jacket for $1,500 (originally $5,450 & 5th photo below), a micro-tweed dress for $485 (originally $1,950 & 2nd photo below), a ballerina pink pleated tulle dress for $600 (originally $6,950 & 7th photo below), a V-neck sage green dress for $850 (originally $6,200 & photo above), a sleeveless fuchsia dress for $500 (originally $3,500 & 1st photo below), a fitted floral print dress for $500 (originally $3,500 & 3rd photo below), and a sultry black leather corset top for $100 (originally $700 & 6th photo below). 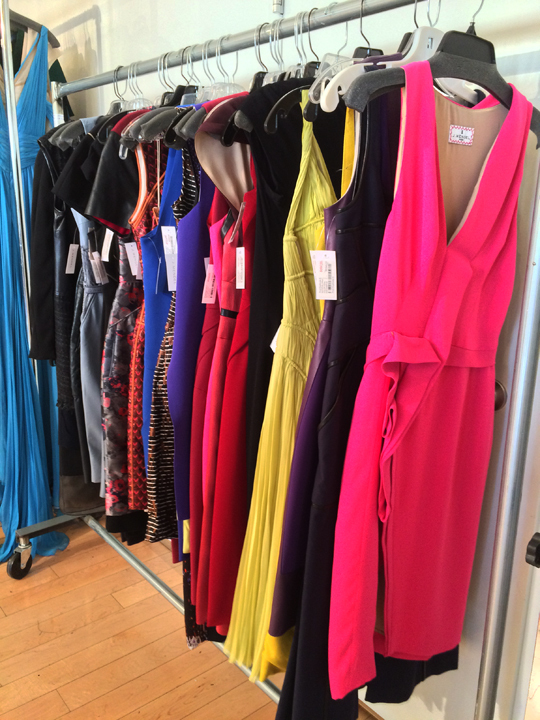 As you can see, you can't expect pocket change price points at this sale (after all, this is J. Mendel) but discounts were generous nonetheless. 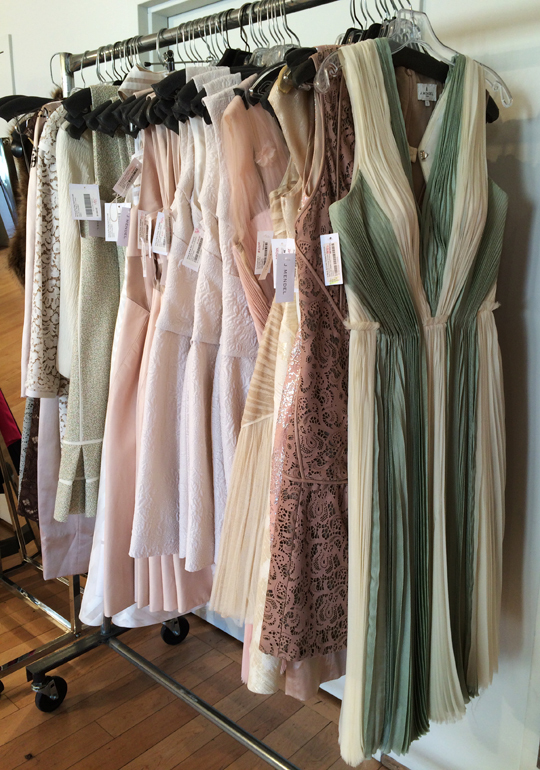 The selection of evening gowns and cocktail dresses were stunning. Prices roughly ranged from $600 to $1,200 and I spotted many intricate designs and detailings including exquisite beadings, ethereal chiffons, and silky satins. 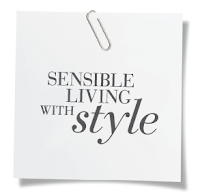 The five racks full of gorgeous outfits will certainly make you dream of going somewhere very glamorous. Speaking of, I was happy and surprised to find this exact same dress at today's sale. It was marked down to $1,000 from $4,500. 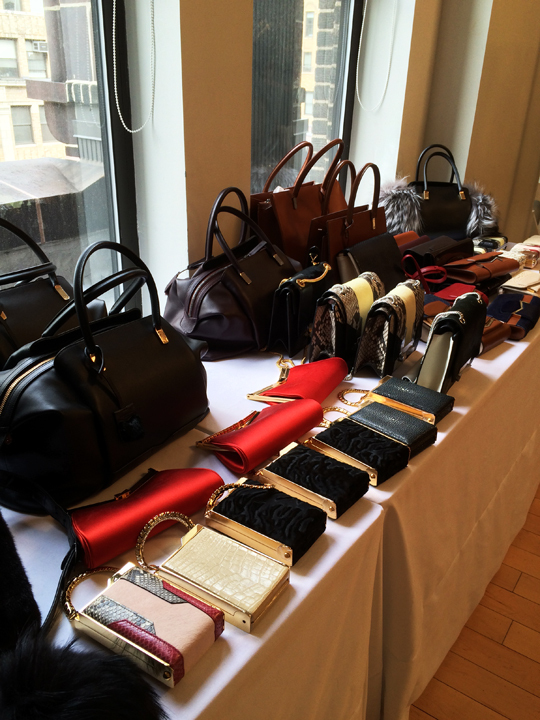 Accessories were displayed on tables located on the left side of the room by the windows. 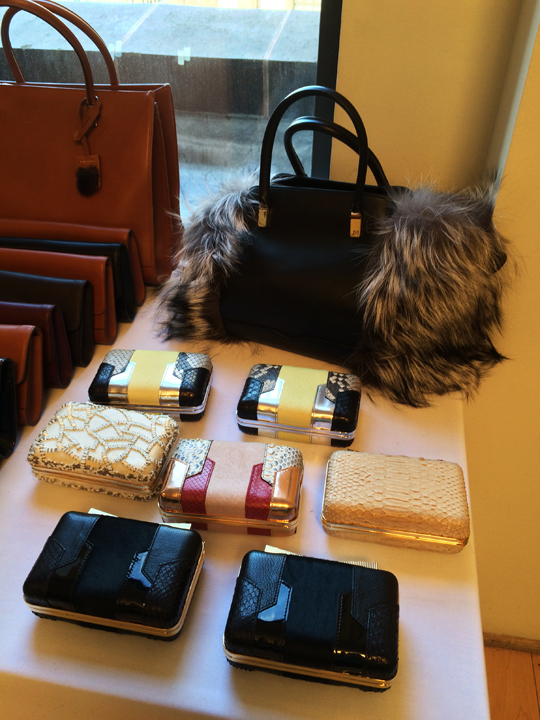 There were handbags, clutches, fur scarves, and earmuffs. 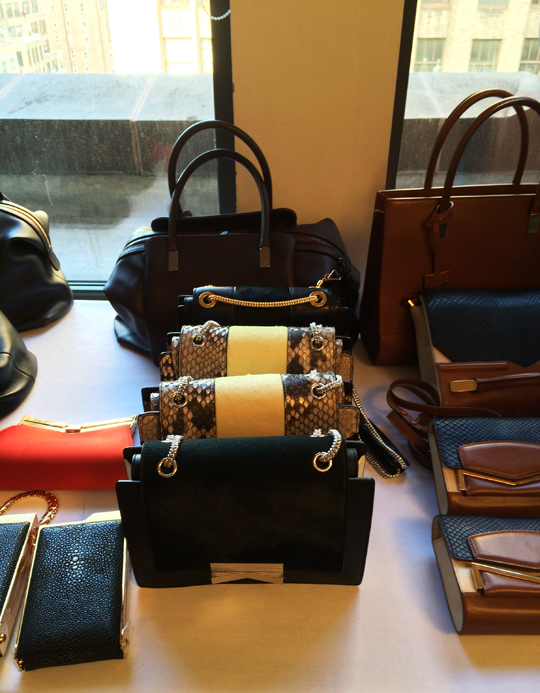 Handbags were available in various styles like mink-trimmed totes ($750), calfskin Midi Bugattis, chain-strap shoulder bags, and elegant minaudières ($450). Last but not least, let me report on the shoes. Manolo Blahnik x J. Mendel pumps and Mary Janes were available for only $100 at today's sale. Adjacent to the boxed up Manolos, there were two bargain bins containing noticeably worn Christian Louboutin sandals for $50. 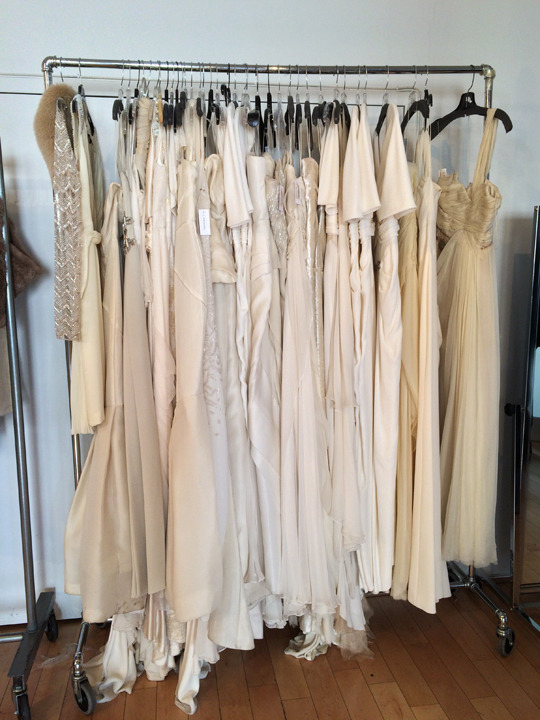 This week's J. Mendel sample sale is intended to be a private event but the staff discreetly told me that all Mizhattanites are welcome to shop tomorrow and Thursday at 265 W. 37th Street 17th Floor. 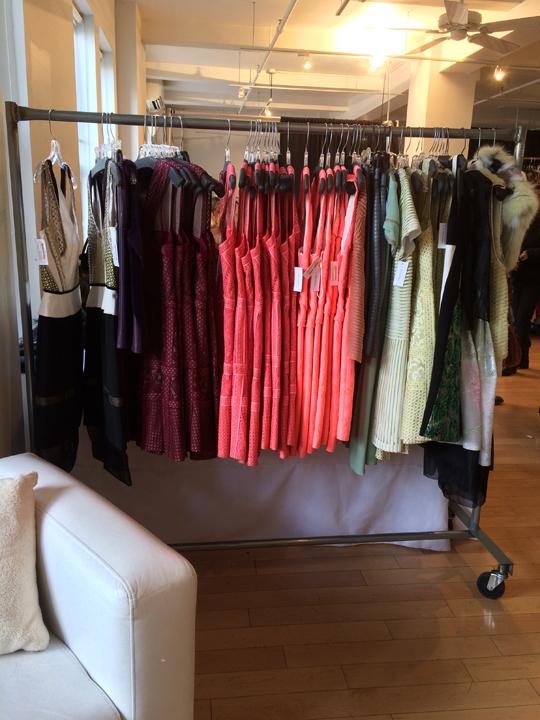 They also gave me a sneak peek at the sample racks that will be available tomorrow. 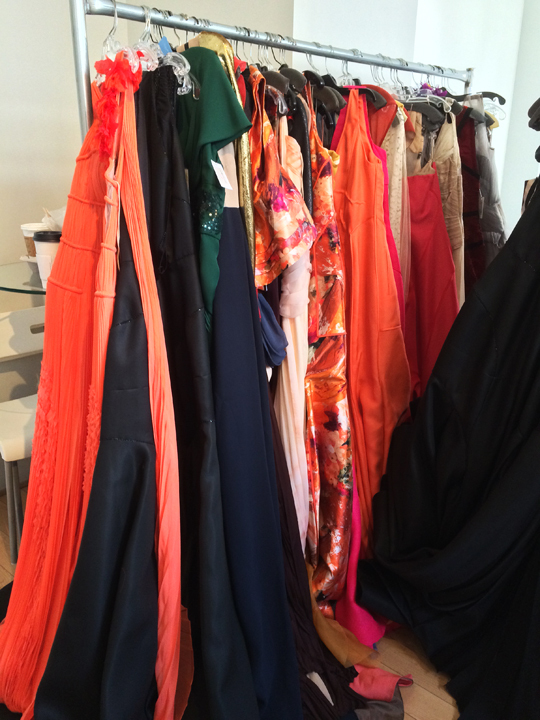 Amongst these racks, shoppers will be able to find colorful and head-turning floor length gowns for only $100! 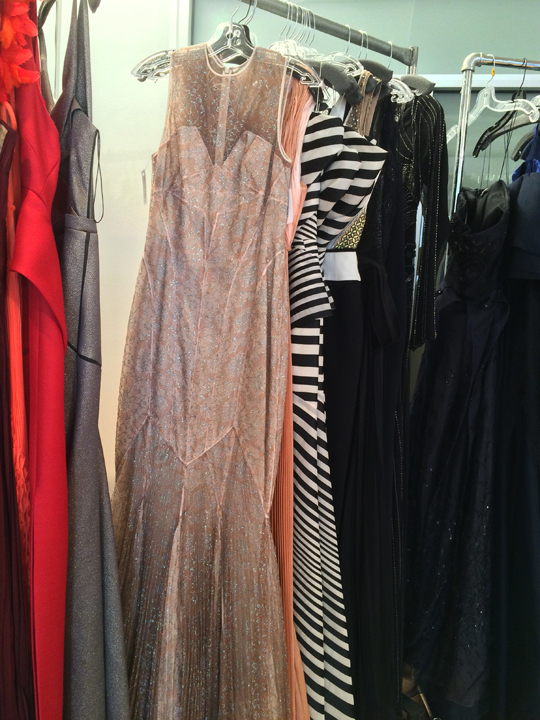 J. Mendel evening dresses for $100?! Now that's worth dropping by for, don't you think? Ohhh chiffon. 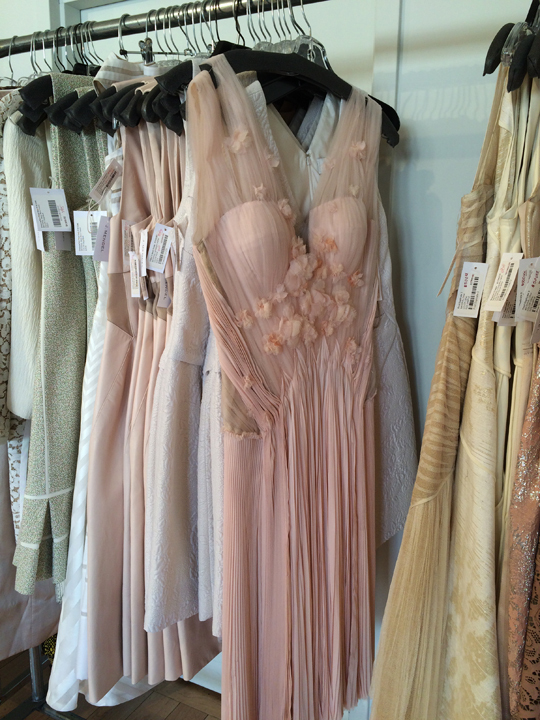 I love chiffon! Thanks for the review Miz! Read your review and did a double take on the 50$ loubies but when I reread it was disappointed they were worn. What are the hours on Wed & Thurs? Thanks so much for the review! Am hoping to drop by tomorrow...what sizes are the shoes in? Thanks for the detailed review Miz! Do you know if the bargain shoes are only in large sizes? From the pics it looks like size 40-41. Also do you know if we still need to make an appointment or can I just show up at the venue tomorrow? Shoes were 38 and up. I would suggest you make an appointment but you can drop by and say you heard the sale from Mizhattan. Whats the price for mink vest on the 8th photo? 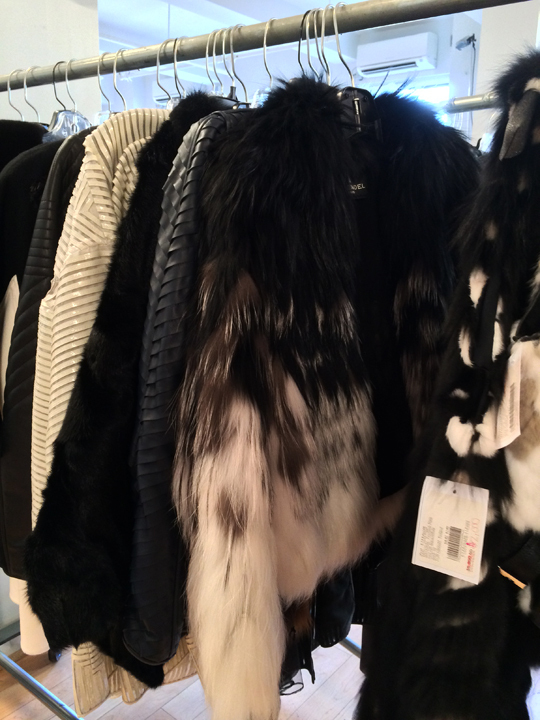 And the price for mink vests you mentioned in the post? 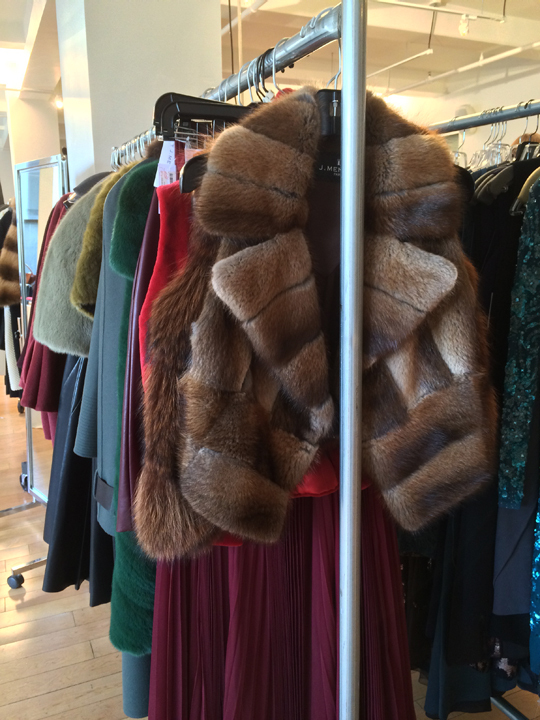 The mink vest in the 8th photo was $1,200. What is the price range for the $100 gowns? I'm sorry but I don't understand. 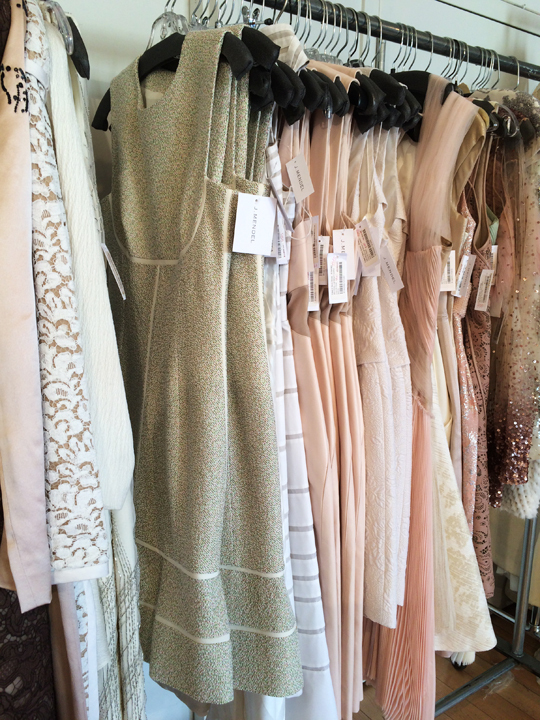 The gowns on the sample racks were all $100 each. Do we have to make an appointment rather than just walk in? You can just walk in. They might ask where you heard about the sale. 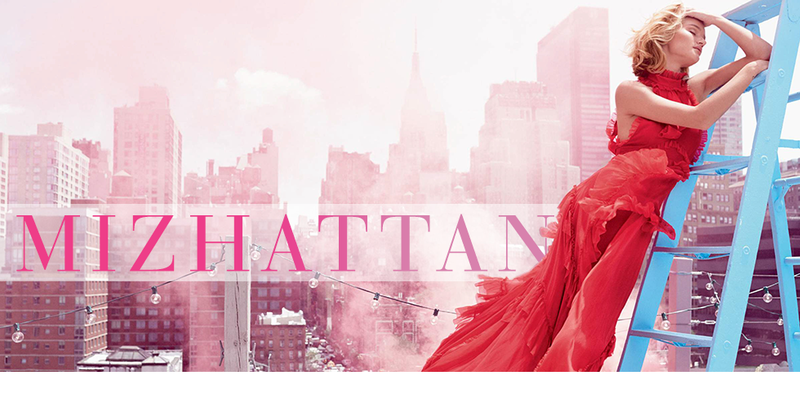 Just say Mizhattan and you'll be able to shop. Just tried getting in by saying Mizhattan and they said no. Invitation-only today. Has any who tried to walk in to the sale been turned away? They said they will only take Mizhattanites tomorrow, not today! I'm very sorry you were turned away. I'm trying to get in touch with the staff. I will let you know as soon as I find out. I sincerely apologize to anyone who walked in today's sale. Both days are open to Mizhattanites but today (10/22) was for those who already booked an appointment. Anyone without an appointment can drop by the sale tomorrow. Is the sale busy? Did many people go? Any feedback on the 100 gowns? I went; well organized and super helpful and friendly staff. 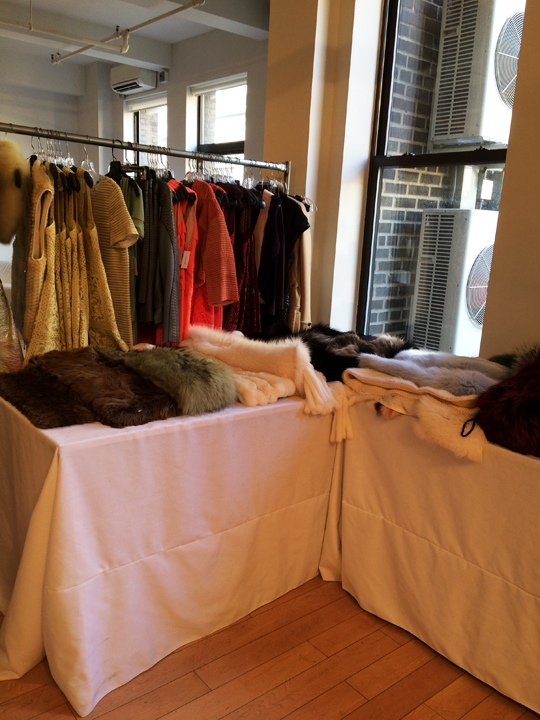 A few fur vests and scarves; lots of cocktail dresses and gowns mostly $500 and up. I went yesterday at 5:30. There was no shoes or $100 gowns left. I saw some dresses for $50 but badly damaged (missing a sleeve, ink stains etc). Still many gowns in $500+ range. do you know if there are additional discounts on the last day? A few dresses (not the unique pieces, but the styles where they have multiple pieces in various sizes, and which appear to be less popular) were discounted at the end of yesterday (from $500 to $300), but none of the bags were discounted any further (and there weren't many left early this afternoon). Other items that must have been damaged during the sale also appeared to be reduced, but still $200+. Is the last day tomorrow? From what time they open tomorrow? The last day was yesterday (10/23).